They don’t peel off Lily! They are screen printed just like the other colors, it’s just a dye. I have them in my daughter’s quilt that I’ve probably washed 30 times from her crib…no peeling and they still look great!! well, that’s miraculous! :) then I do need them after all. Is there a chance of seeing a snapshot of that quilt some time? Thank you for your post. I made your hourglass quilt last fall and loved how it turned out. And the music video… spot on! Thanks, Allison. I’m glad your quilt turned out well! Thanks Sheila! Sophie sure is a cutie!! 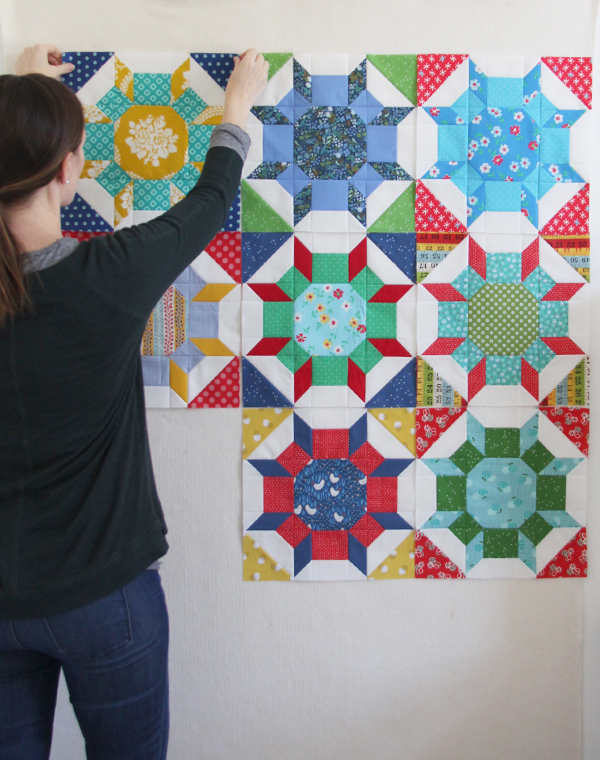 Where does the time go…..
Love that hourglass quilt. On my “to do” list. Thanks! Yes it does fly by! 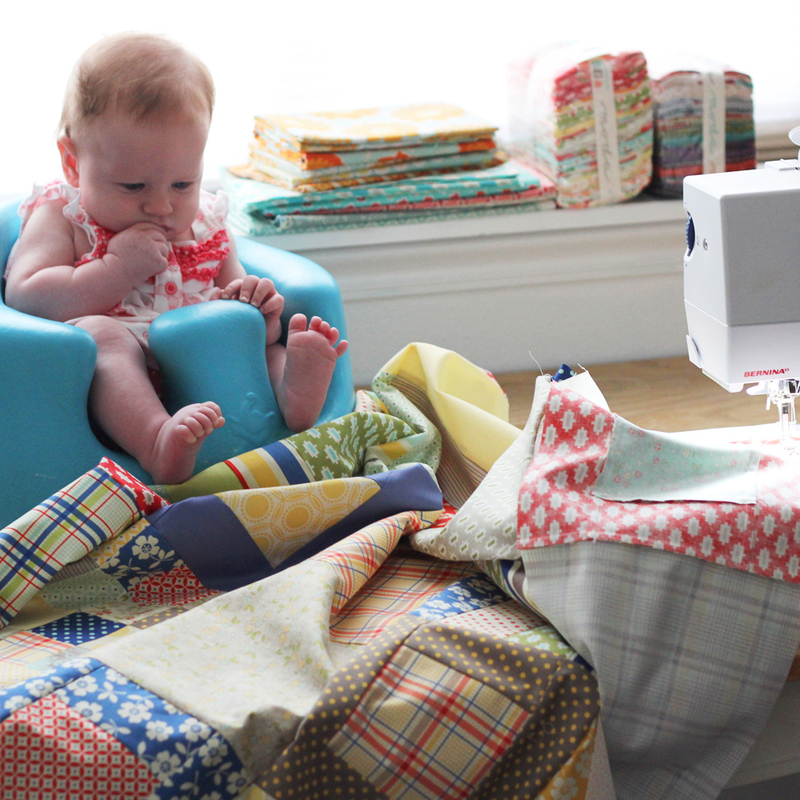 Allison, please help me choose one of your patterns that would work well with Tula’s Pinkerville. Her prints are pretty dynamic and I’m never sure how to choose a pattern. 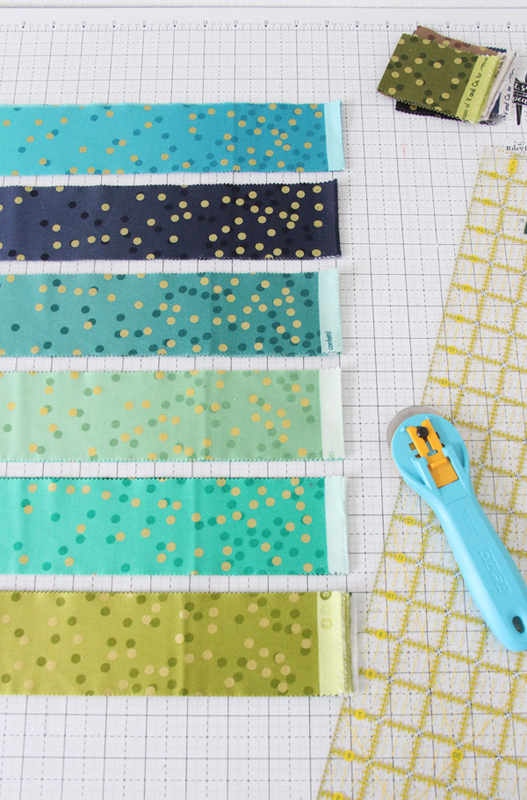 BTW my shimmer quilt is going to be really wild!! 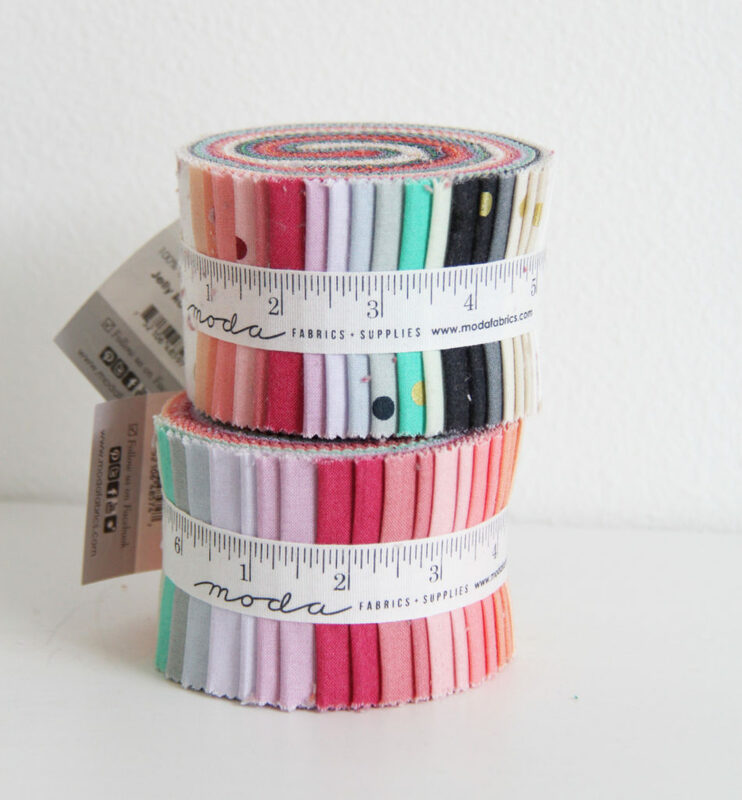 Hmmm…Boxed Up might be good with that fabric, for sure a simple pattern to show off those fabrics! Thanks Allison. I appreciate your professional opinion. Loved the video, my kids are 40 and 38 and it happened in a “snap”. Now it is flying by with the grandchildren. I remember when you posted the pink hourglass quilt. I was getting a grand daughter and printed it out (didn’t make it, but still have it). Always look forward to your posts and can’t wait to check out your recipe. 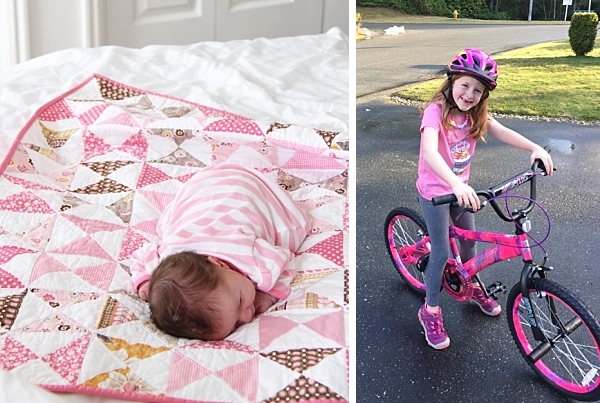 I am finally making your pink and white baby quilt. I have loved it all these years since you first posted it! I’m using Howdy, the girl colors, buy the pinks. I’m using a white with the little girl as my background. I will share a picture with you when I’m done. Remember the Righteous Brothers song: You Are My Soul and My Inspiration? Well, it’s mainly inspiration that you give me. Of course my Shimmer quilt will be done during the summer, but this baby quilt is for my daughters best friend. They grew up together and live so far apart now. It has to be special as this is her only daughter. Thank you again. Oh please send me a picture Judy that sounds adorable!!! It’s going to be so cute!! I’m so glad you find inspiration here…makes all this work worth it!